Our aim is to offer counselling to all, regardless of gender, age, ethnic origin, sexual orientation, financial status or disability. All our counsellors work to the BACP Ethical Framework. With person-centred counselling as our core model, we work with whatever you bring, in a client-centred and non-directive way. However, we are also integrative counsellors. What this means, is that we treat each client as an individual, and sometimes we use theory and techniques from other approaches, when appropriate. For people on benefits or limited income, low cost counselling is available at Talk-in-Herts. Some are experienced trainees, and some are qualified. 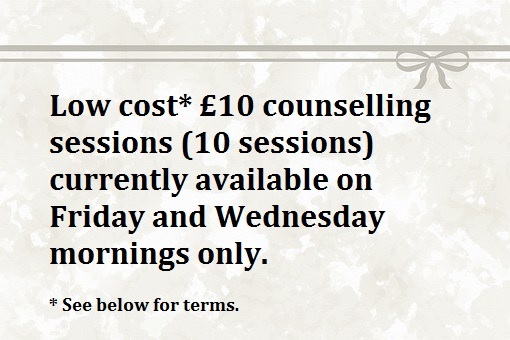 We offer shorter and longer term counselling on a regular weekly basis at specific times. All counsellors work in accordance with the BACP ethical framework. 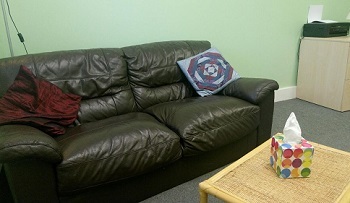 Each counsellor has regular supervision with a Talk-in-Herts experienced supervisor. Both counsellor and supervisor are bound by the professional ethics of confidentiality. Fees for an individual are usually between £10 and £40 per 50 minute session, depending on your circumstances and £45 for a family.